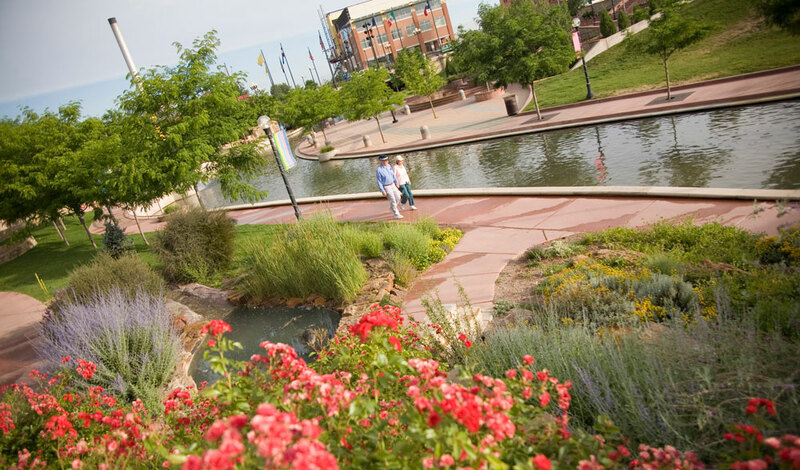 Once a rough-and-tumble mining town inhabited by cowboys, gold-seekers and infamous ruffians like Wild Bill Hickok and Buffalo Bill Cody, modern-day Pueblo is a sunny playground nestled on the banks of the Arkansas River. host open houses and events such as raku firings, poetry readings and receptions. Check out the Historic Arkansas Riverwalk, a 32-acre waterfront plaza with a nature center and outdoor amphitheater. Take a guided river cruise or get your heart pumping on one of the bike trails, many of which connect to nearby Lake Pueblo State Park, one of the state’s most popular. If you’re traveling with children, your next stop should be the award-winning Buell Children’s Museum, adored for its hands-on exhibits focused on the arts, science, and history. Next, head to the Pueblo Weisbrod Aircraft Museum, a World War II Army air base turned museum with more than 30 vintage aircraft, including a massive B-29. Other can’t-miss museums include the El Pueblo History Museum, a re-created 1840s adobe trading post and archaeological excavation site, and The Steelworks Museum, rated in the top five industrial collections in the nation. Watch the city melt into shades of gold, red and orange during a sunset gondola ride down the river. Afterward, head into historic Old Town for a bite to eat, making sure to sample the town’s de facto mascot, the chile pepper. This spicy, fire-roasted treat is perhaps best enjoyed in savory pork green chile. Try a Pueblo Slopper, a hamburger patty smothered in green chile and topped with cheese and onions. More than 25 local restaurants serve up their own version of the beloved dish, so you can easily embark on your own Slopper tour — or take the Pueblo Chile Farm Stand Tour along Hwy. 50 east of town July through October. A long tradition of Italian, Greek, Slovenian, Polish, Irish, German and African-American residents have also shaped the city’s menus. Stop into one of the longtime local restaurants and shops, like Franks Meat Market, Paleteria Y Neveria Durango, Tortilleria Delicias or Giodone’s Italian Bar and Grill. Colorado’s craft-beer industry is booming statewide and Pueblo is no exception. Embark on a tasting tour. Try the Pueblo American Pale Ale at Shamrock Brewing, sip the Pueblo Chile Lager at Walter’s Brewing Company or grab a pint of Leadhead IPA at Brues Alehouse Brewing Co. If there’s still time, stop into the Songbird Cellars tasting room on Abriendo Avenue for handcrafted fruit wines and find out what’s on stage at the Steel City Theatre Company, Impossible Players and Grupo Folklórico del Pueblo. Stay at Station on the Riverwalk, a boutique hotel housed in a building that operated as the town’s police station and jail from the 1940s to 2010. Take a scenic drive west of Pueblo to the towns of Westcliffe and Silver Cliff, between the Wet Mountains and the Sangre de Cristos. The quiet area, home to 200 miles of hiking and biking trails and 54 alpine lakes, has an air of the undiscovered, and you’re likely to spot real cowboys and gals herding cattle on horseback. Peek into the All Aboard Westcliffe railroad museum (open Saturdays, Memorial Day through mid-September) and stop for a performance or movie at the historic Jones Theater. For fine dining and spectacular views, make a date at Westcliffe’s Alpine Lodge. The communities are also the first in Colorado to be recognized by the International Dark-Sky Association, so plan for some stargazing and a stop at Smokey Jack Observatory.